The GOETHE Writing Competition recognizes emerging new talent and outstanding works in the genre of Historical Fiction post-1750s. The GOETHE Book Awards is a division of Chanticleer International Novel Writing Competitions. 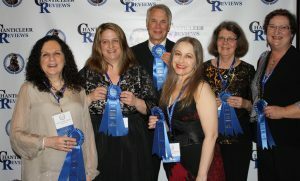 More than $30,000.00 dollars worth of cash and prizes will be awarded to Chanticleer Book Reviews 2017 writing competition winners at the Chanticleer Authors Conference April 21st, 2018! This is the Official announcement of the Authors and Titles of Works that have been SHORT-LISTED for the GOETHE 2017 Book Awards. These titles will now compete for the First In Category positions. 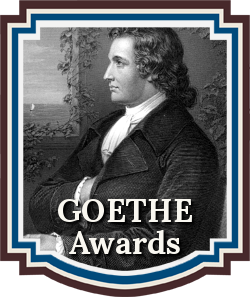 The GOETHE Awards FIRST IN CATEGORY sub-genres are Regency, 1700s/1800s, Turn of the 19th Century, 20th Century, World Wars and Other Wars, World/International History (non-western culture historical fiction pre-1750s), USA History, and 1830s – 1900s, Victorian Era. Good Luck to all of the 2017 GOETHE Short-Listers as they compete for the First Place Category positions. First In Category announcements will be made at the Awards Ceremony. 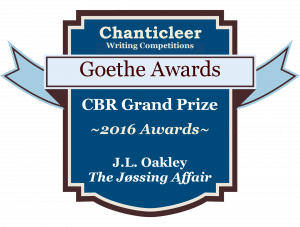 The GOETHE Grand Prize Winner and First Place Category Winners will be announced at the April 21st, 2018 Chanticleer Writing Contests Annual Awards Gala, at the Chanticleer Authors Conference that will be held in Bellingham, Wash.
We are now accepting submissions into the 2018 Chaucer Awards and the Goethe Awards writing competitions for Historical Fiction. Please click here for more information. To view the GOETHE Slushpile Survivors of the first judging rounds, please click here.